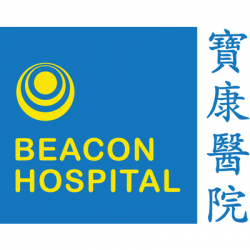 Started as a sole cancer centre in 2005, Beacon Hospital has now expanded to a multidisciplinary hospital with 8 Centres of Excellence led by a team of specialised, professional and experienced senior consultants coupled with our best equipped technologies. Our philosophy is to provide the highest quality health care services to all our patients effectively, efficiently and compassionately. We are highly committed to provide the best support to our patient, their family members and caregivers. To vouch for our strong commitment in providing the best possible treatment for our patients, we provide the latest medical equipment such as CyberKnife®, Positron Emission Tomography and Computed Tomography (PET/CT) and other sophisticated medical devices to achieve our objectives. We also provide other services including cardiology, general surgery, gynaecology, internal medicine, urology, plastic and reconstructive surgery, geriatric, respiratory medicine, rehabilitation & physiotherapy.